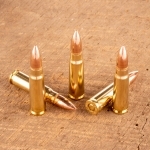 Developed in the US by Advanced Armament Corp. and Remington Defense and introduced to the market in 2011. Also known as .300 AAC Blackout and 7.62x35mm. 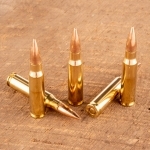 300 BLK was designed to ballistically match the 7.62x39mm but to be used with AR-15 magazines, bolts and bolt carriers. 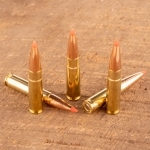 Inspired by and nearly identical to the .300 Whisper cartridge. Both subsonic and supersonic rounds are commercially available. Subsonic 300 BLK is optimal for suppressor use. 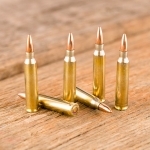 Target Barn sells 300 BLK for competition, hunting and range training.